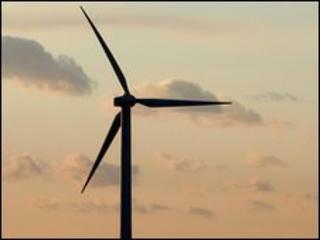 Plans to build a wind turbine in east London's Olympic Park site have been scrapped. The Angel of Leyton, in Eton Manor, was meant to be a symbol of a sustainable Games and help meet 20% of the site's energy needs after they had finished. The Olympic Delivery Authority (ODA) said it was "no longer feasible" due to new safety rules and design changes. The Commission for a Sustainable London 2012 said the ODA must meet its carbon emissions targets by alternative means. The turbine, to be located in the north of the Olympic Park, was a part of the site's legacy plans and expected to provide renewable energy from 2014. The project was in trouble after the appointed bidder's turbine supplier pulled out, saying it would not be able to comply with the new regulations, introduced this year, which required it to alter the design of the turbine's internal operator lift. The supplier said the modified design could not be delivered before the 2012 Games. The ODA said it learnt from industry feedback that the project would not be appropriate at the planned location and there would be limited commercial interest in it. David Higgins, chief executive of the ODA, said: "We have carried out an exhaustive process with the industry and suppliers over the last two years to find a viable way of delivering a wind turbine on the Olympic Park site. "However, the industry environment has changed and that means the project is no longer feasible." He added: "Our focus is now on researching a number of alternative renewable energy options across the Olympic Park site to help contribute to these targets and complement the other state-of-the art new energy infrastructure we are building." Shaun McCarthy, the chairman of the Commission for a Sustainable London 2012 (CSL) - which is the sustainability watchdog for the Games - said: "The symbolic power of a wind turbine at the park, whilst valuable, does not outweigh the considerations of the optimal use of resources." The ODA is now looking at meeting the targets by using solar panels and a biomass gasification unit as sources of renewable energy at the site.